Bro Ras Jon Far I has written and compiled a first of its kind book, with a year of hard research and fact finding documents. Rastafari over Illuminati, Hot the Babylon system of the western world through deceit and lies, have discredit the Lion of Judah Haile Selassie Jah Rastafari the Christ of this era, Bro Far I shows How Babylon and the globalist organizations have conspired Against His Majesty, but through the power of the most high Jah the truth has overcome the dragon, for the first time ever His Majesty over throw in the events leading up to it are discus in this book that well awaking ones to truth and about who His Majesty is as well as mystery Babylon, and the New World Order. 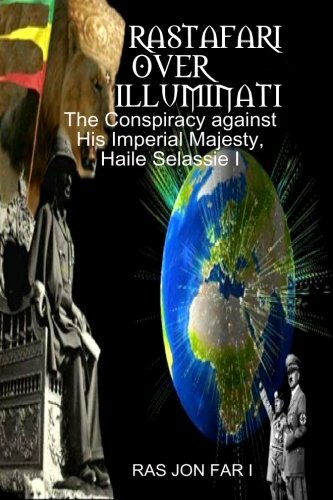 Rastafari over Illuminati shows that the conspiracy against His Majesty is the mother of all conspiracy's. I am young Rasta Lon and author, and after a year of Extensive Research and interviews has complied the book that well show and awaking ones, Rastafari or not about the mother of all conspiracy that was the Conspiracy against His Majesty Haile Selassie and who where the ones behind it, I also have a poetry book call Israelites unite which are my ises to my God and King Haile Selassie.